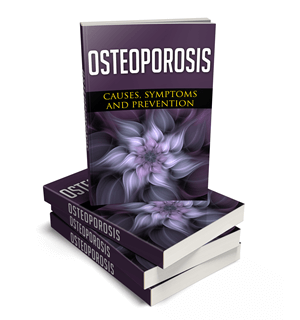 Osteoporosis is a huge topic that most women are concerned about, although men can lose their bone density too. 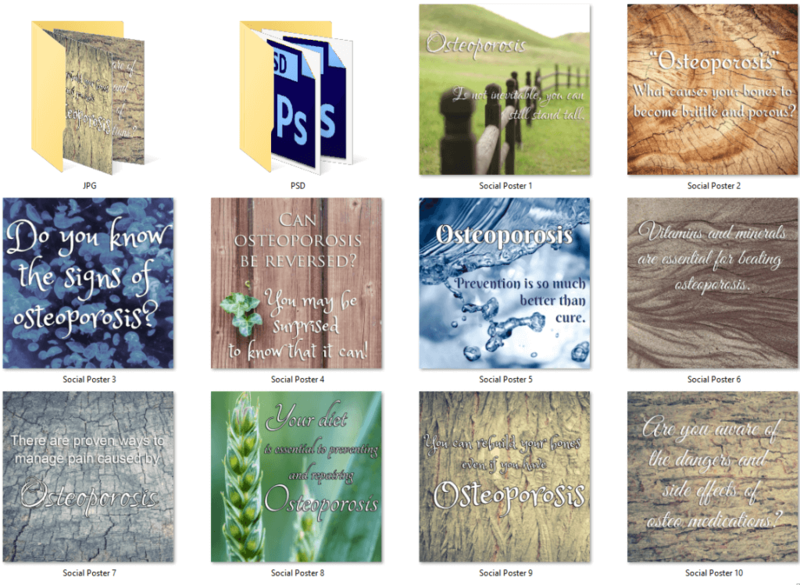 This PLR package provides lots of answers to the condition that surrounds the loss of bone density. 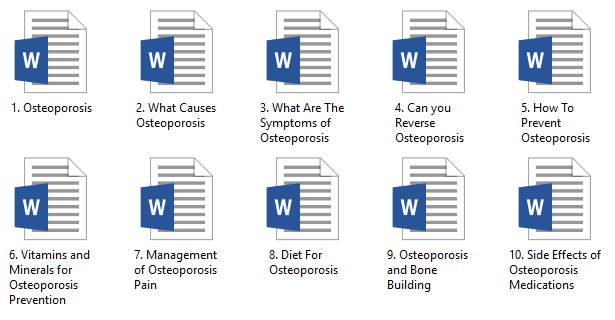 10 high quality articles in text and Word doc files. All articles professionally written and edited. For those who love ebooks, we have created an ebook for you from the articles in this pack. It is beautifully formatted and we’ve added a disclaimer, introduction and a conclusion. We’ve also created chapter headings for you to give it a professional touch. It is also illustrated with royalty free, commercial use headings. 10 professionally designed social posters, plus PSD files! Beautiful typography and photographs. People won’t be able to resist sharing your posters. Just add your URL and enjoy going viral! 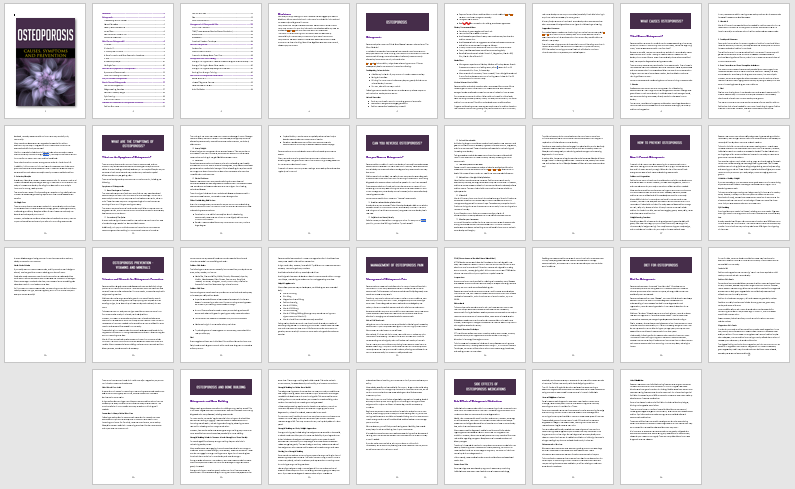 The eBook that has been created from the articles, and is 34 pages, 7,001 words long! High quality and professionally designed ecover graphics. You also receive the PSD file. Social posters get shared and create traffic to your site! We’ve also included the PSD files so you can edit them if you so desire. This package includes a super size infographic! It measures 800px x 3,499px. This is what the authority sites display on their websites. This infographic is professionally designed. Plus, it creates another 5 mini-infographics, so you have lots more chances of going viral on the social media platforms! Good afternoon! I would like to know if this wonderful content, when acquiring it, has sales pages? Thank you. Hi Claudia, no this package doesn’t include a sales page. Thank you for asking!